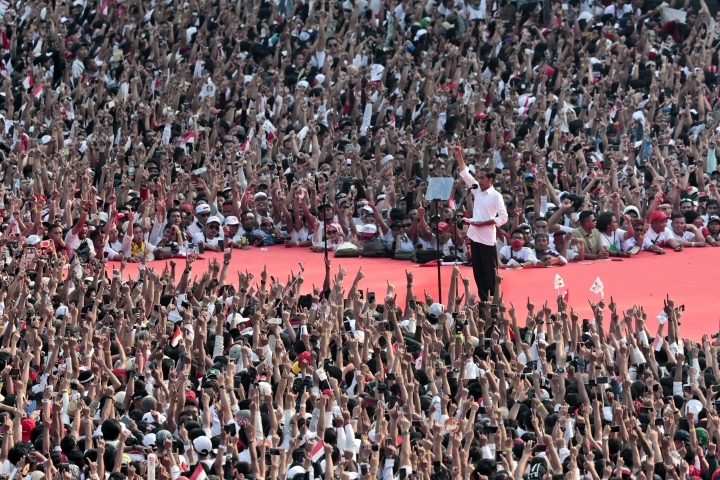 JAKARTA, Indonesia — Tens of thousands of Indonesians flocked to presidential campaign rallies Saturday ahead of a final debate between the two candidates, four days before the country heads to the polls. 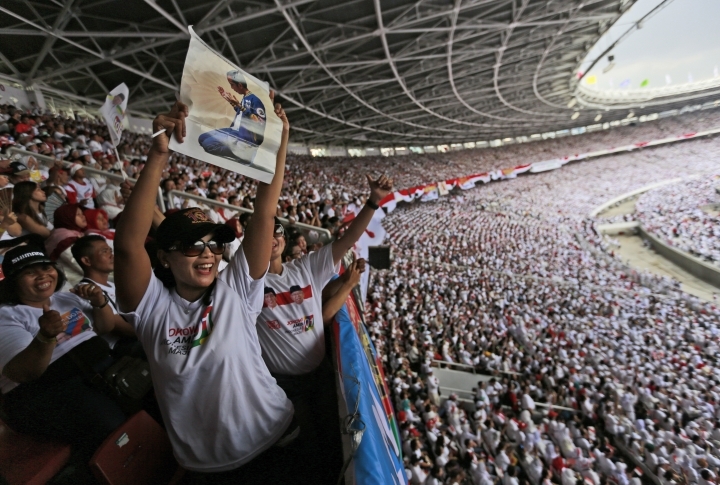 Supporters of President Joko "Jokowi" Widodo filled a stadium in central Jakarta, while the vice presidential running mate of challenger Prabowo Subianto held a rally in a satellite city. 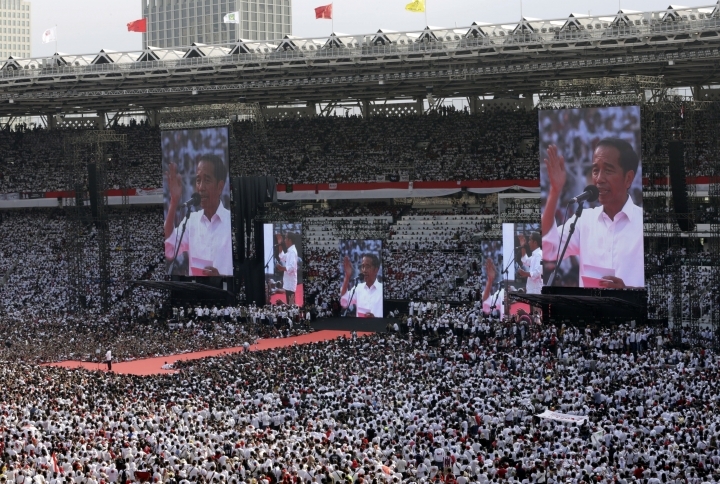 Speaking to a crowd of more than 100,000, Widodo emphasized the importance of his big ticket infrastructure policy and education for the country's future development. 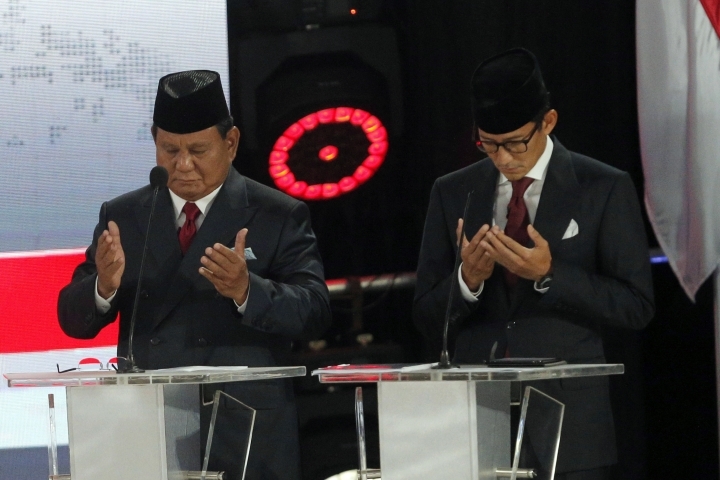 He said pluralism is non-negotiable in Muslim-majority Indonesia, addressing supporters' fears about the aims of a conservative Islamic movement that backs Subianto. "People in a developing nation must be optimistic because we still have big jobs to do and face big challenges," Widodo said. 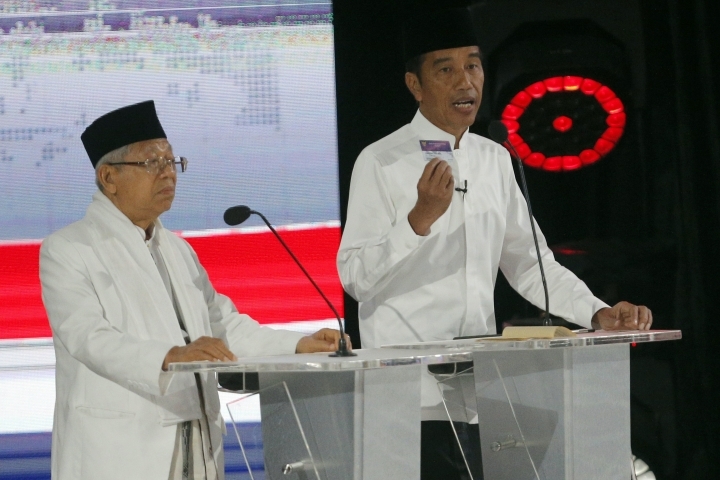 Widodo and Subianto appeared in the final of five televised debates between the presidential and vice presidential candidates on Saturday evening. 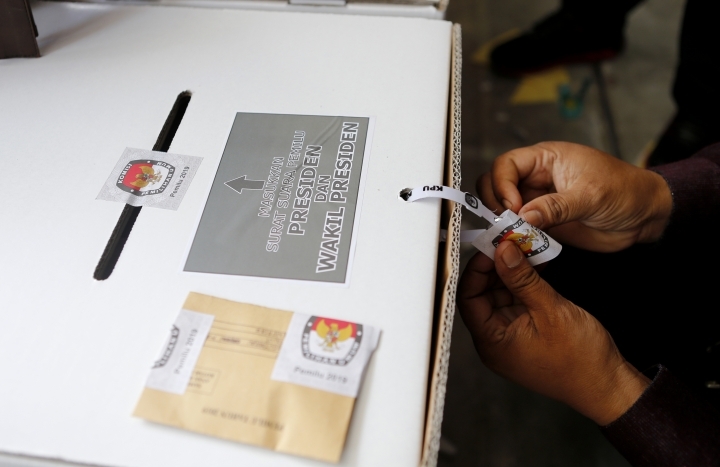 About 193 million Indonesians are eligible to vote Wednesday in presidential and legislative elections. 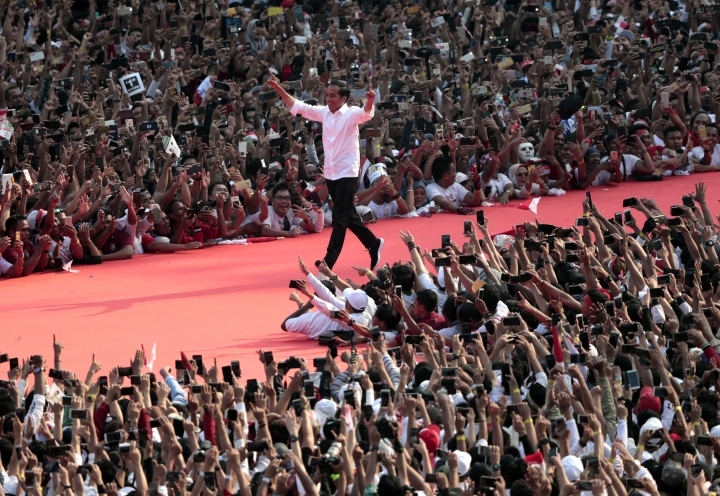 Widodo, who narrowly defeated Subianto in the 2014 election, is Indonesia's first president from outside the Jakarta elite. Subianto is an establishment figure from a wealthy family who was a special forces general during the Suharto dictatorship that ended amid social and economic chaos in 1998. Subianto's running mate, Sandiaga Uno, told a crowd of thousands in Tangerang that a government led by them would focus on ensuring Indonesians had good jobs and a lower cost of living. "We will be able to unite the country and make this country very strong," said Uno, a businessman who has spent more than $100 million on the campaign. 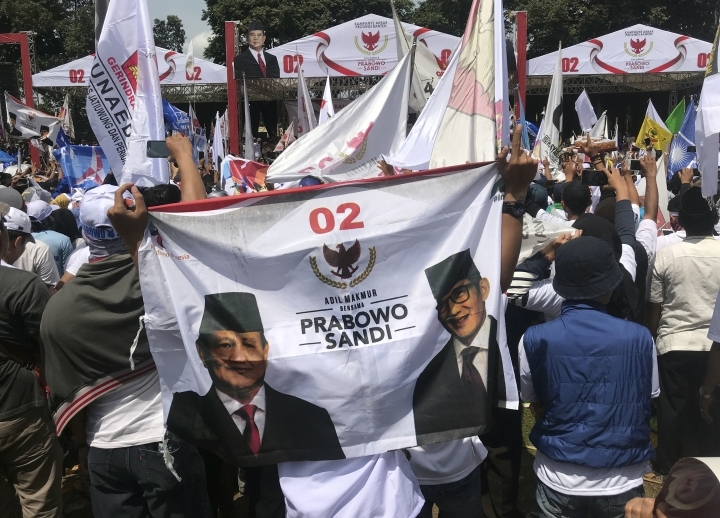 Subianto supporter Akhirudin Konsi said he wants a "president who will fight for our rights and stand behind people, who will lower prices, especially education, fuel and basic needs." Polls show Widodo has maintained a big lead over Subianto for months, but some analysts say the race is tighter than it appears. 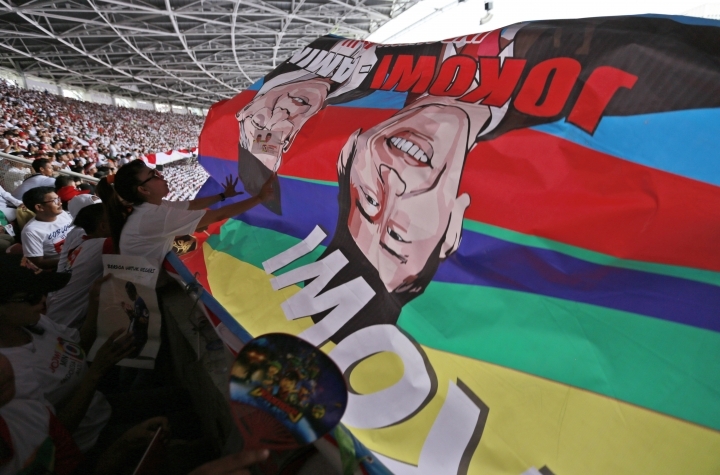 Businessman Sahala Panjaitan said he and four family members came to Jakarta for Widodo's rally from Pontianak in West Kalimantan province on the island of Borneo. 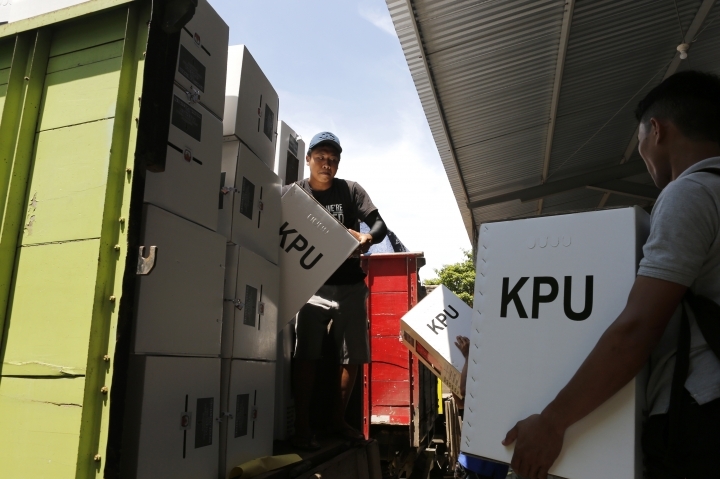 "We came from across the island because we want to show that Jokowi's support was far greater," Panjaitan said. "He is the nation's best son."